Cooper Webb finished second in Denver and his points lead shrunk by 3 points to Eli Tomac. 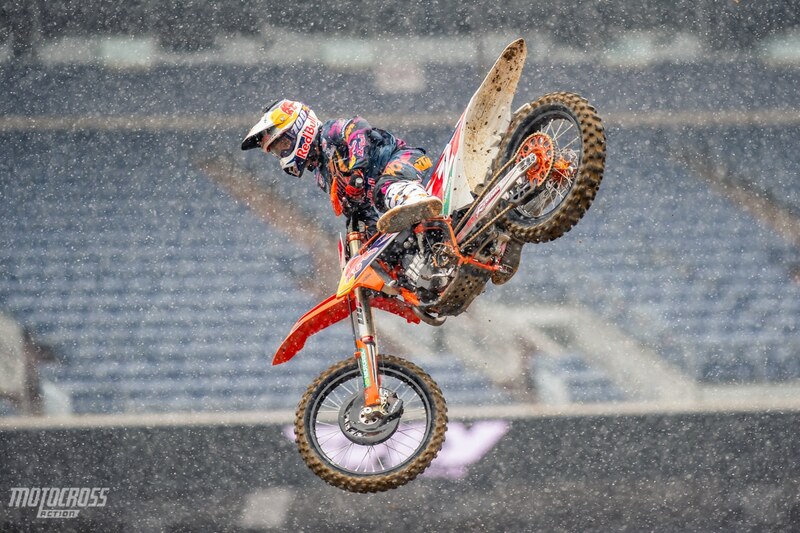 The 2019 Denver Supercross was another exciting night of Supercross racing. The Colorado kid, Eli Tomac dominated the main event and grabbed the win. Cooper Webb didn’t have the pace to run with Eli, but he charged through the pack to finish second and keep his points lead nice and healthy. Marvin Musquin started out just liked he needed to, he grabbed the holeshot and led early. But he wasn’t able to hold on to it. Eli and Cooper both proved to be faster than him as they both passed him and pulled away. With two rounds left to go, Eli Tomac is now 18 points behind Cooper Webb. Click here for 450 Main Event results. 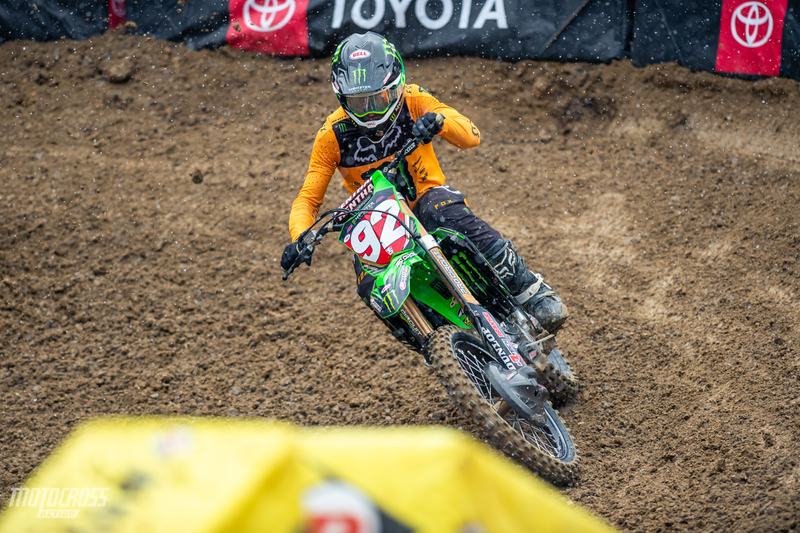 Adam Cianciarulo’s win in Denver allowed him to gain 3 more points over Dylan Ferrandis in the Championship fight. Adam Cianciarulo did exactly what he need to do in Denver and that was win the race. Dylan Ferrandis was the one who really needed to win in Denver, but he wasn’t able to make it happen, he finished second. Colt Nichols sits comfortably third in the points with Rj Hampshire in fourth. Jimmy Decotis, Michael Mosiman and Cameron Mcadoo are all tied for fifth and after missing another round due to a back injury, Shane McElrath has moved to eighth. Now the 250 West coast class will take two weeks off before racing one last time at the 250 East/West Shootout in Las Vegas. Austin Forkner still leads the 250 East Championship even after missing the Nashville main event. After the weekend off, the 250 East Coast Championship will be back racing in East Rutherford, New Jersey. 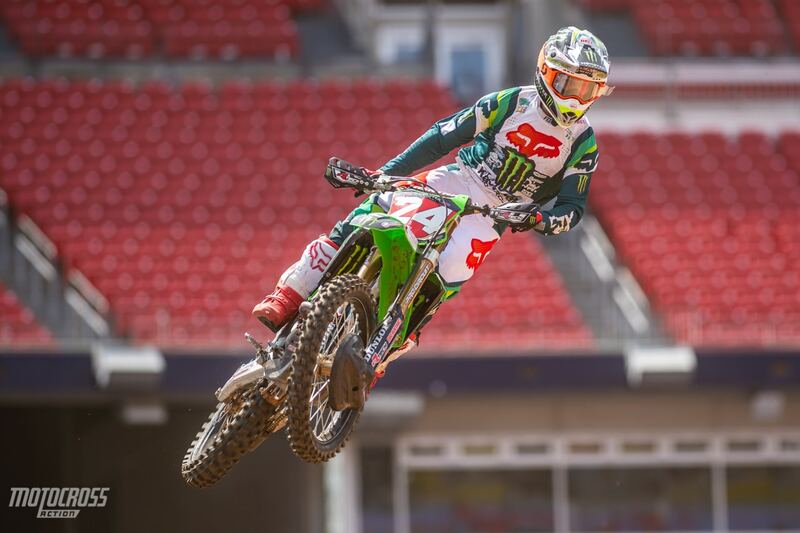 It was announced by Ralph Sheheen that Austin Forkner has a torn ACL and bone bruising in his left knee after he crashed himself out of the Nashville Supercross. At the moment Austin is doing everything he can do to heal his knee and try to ride through the pain at the final two rounds to contend the 250 East Coast Championship.